Well, we did it! We've been home for a few weeks now from the first Beer Yogi tour of 2017- this tour took us from Cleveland to Pittsburgh, in a little loop around the eastern half of the US. Lots of brewery cats, a few dogs. Reunions with lots of old pals, and memories with some great new friends. Our very last stop on our first tour. Crazy to think how fast our month flew by. We feel so lucky to have had the experiences we did on this tour and to meet each and every one of you. We can't wait to do his again next year! This last event brought us to Salem, Oregon, which is Mikki's hometown. And Salem packed the house for this very last class, to help us celebrate the end of our tour! Over 100 Beer Yogis joined us for this outdoor class by the creek and then joined us for pints and a picnic on the lawn after class. The vibes were so great at this class that even Melissa's beer was smiling. Community. Unity. These were our intentions for this tour. To unite through yoga and beer with yogis across this country. Thank you for inviting us into your breweries and your towns. Thank you for sharing your practices, your energy and your favorite local spots with us. People keep asking us what our favorite city and brewery was ... And we honestly can't answer because we loved each stop, each beer, each community for its uniqueness. This practice is powerful. And we believe it is even more powerful when shared with friends, paired with a beer, and offered in a welcoming and approachable way. We are glad you agree with us. And can't wait to gather with each and everyone of you again! The second to the last stop on the tour took us to the Oregon coast, where we enjoyed a practice amongst pallets and pallets of beautiful brews at Rogue. Rogue's space, and this crowd of beer yogis, truly embodied the Beer Yogi's mission. We all have strength and peace already in us, and the right to access that anytime, and anywhere. Even on a brewery warehouse floor. One of our favorite savasanas of the whole trip happened here, when the group settled into complete stillness and silence in a very unconventional space. Great things happen when we connect to ourselves, and others. We hope to see you here again, and until then, keep breathing the strong breath and drinking the good beer! 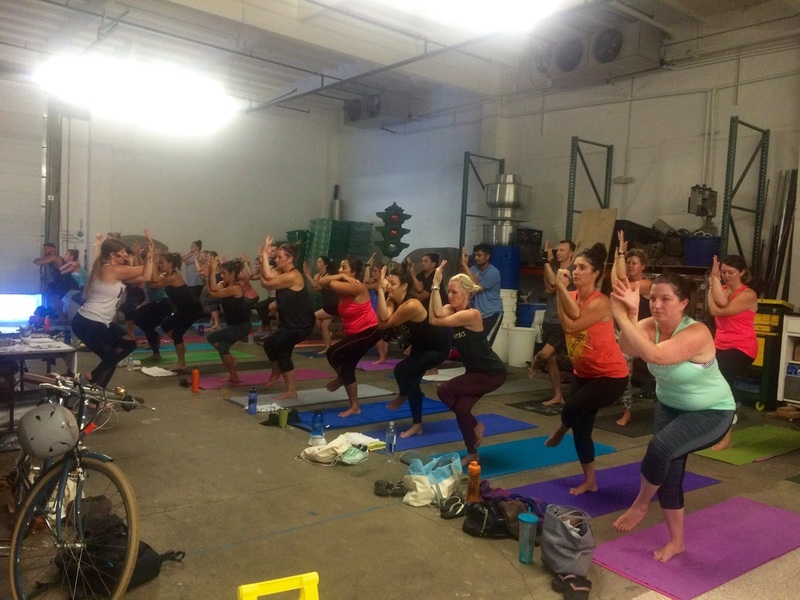 Sacramento came out strong for their first yoga and beer session with Yolo Brewing! When we work together, great things happen, as was evident in this successful (and crazy fun) event. Big props to all involved, Thanks to brewmaster Mike for sharing your space with us. Thanks to everyone who helped spread the word for us, and to everyone who connected a little more deeply last night. It was bright and hot and wonderful with LA's beer yogi tribe! We enjoyed an outdoor practice at Golden Road for stop 17 on the tour. Post flow, we chilled with our beers, some meals, and enjoyed the company of our group, full of inspired and inspiring entrepreneurs. The service for our event was great- here's Jessica with our beer share: accepting some Speedway Stout from AleSmith and passing on some Wolf Pup IPA for our next stop, Yolo Brewing in Sacramento. 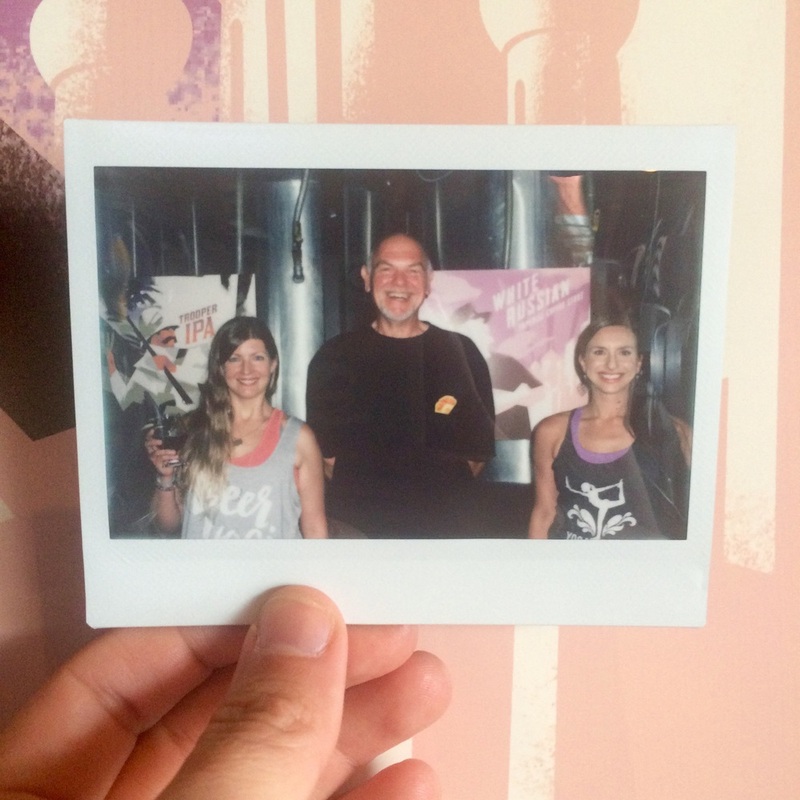 You were a great bunch to spend an evening with, Los Angeles beer yogis. Until we meet again! The final week of our tour took us to Southern California, where we enjoyed a yoga session and beers with our new friends at AleSmith in San Diego. After a strong all levels flow, we gathered in AleSmith's beautiful tasting room space to connect over pints of fresh ales with our friends, both old and new! Beer share brought Sun Up to AleSmith, who sent us off with a growler of Speedway Stout for Golden Road in LA. We loved every second, San Diego. Thank you for showing up, and thank you for welcoming us into your community. We can't wait to see you again. We stopped by sunny Phoenix...though it was actually cloudy and a little rainy. Didn't stop us from having a great strong Sunday morning flow at Sun Up Brewing Co! 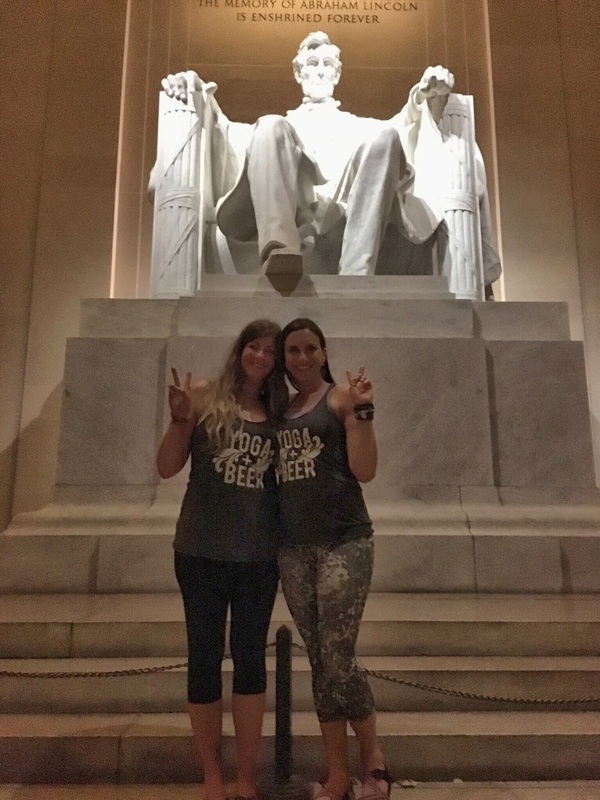 Phoenix also delivered another Instagram #beeryogi challenger from back in the day- we had a great time uniting by yoga and beer face to face with our pal Kristina. Post practice, Sun Up brewmaster Uwe joined us to chat over beers and show us around his brewery- a complete surprise and treat for all of us! Sun up also shared their Sucker Punch ale, along with some White Russian Imperial Coffee Stout, for us to carry on to AleSmith in San Diego, after we left them brews from Santa Fe Brewing Co.
Day 14 took us to Santa Fe Brewing in New Mexico, where we were treated to perfect weather for an outdoor morning yoga session in the desert. Post practice, we joined our new friends for delicious Santa Fe brews, and the next share of our beer share: we left behind some Epic Brewing from Denver, and carried on Chicken Killer barley wine and a selection of canned goodness to Sun Up in Phoenix. The Santa Fe sun, the great local community, and the easy drinking beers will be long remembered. We hope to see you guys again soon! Stop #12 provided a real treat! Farnam House Brewing in Omaha, Nebraska converted their brewery space into a disco yoga studio ... astroturf, disco ball, light shows and all ... And went out of their way to welcome us to Omaha. Omaha Beer Yogis showed up in FORCE for this sold out class. And we were honored to have members of the local Lululemon team join us and provide "Experience Nebraska" koozies for all of the Beer Yogis in attendance. 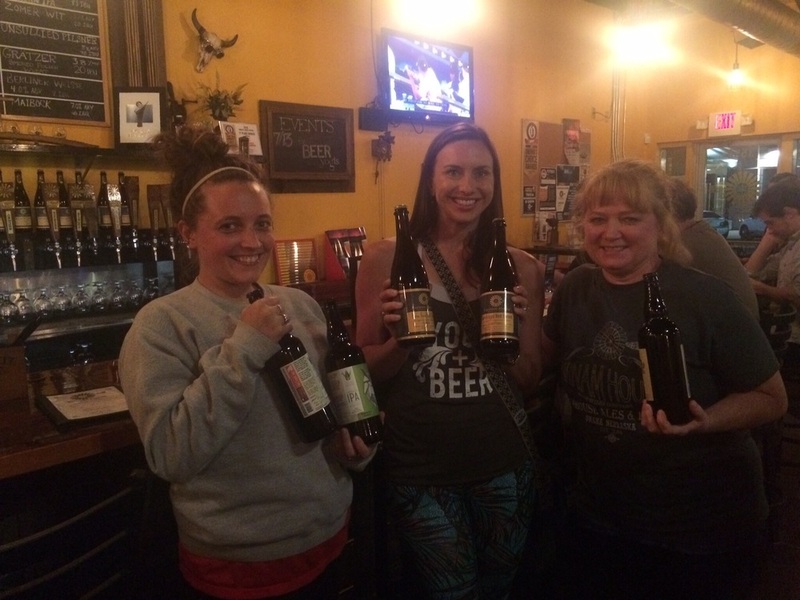 As part of the Beer Yogi Beer Share, we delivered bottles from Crane Brewing to Farnam House, who gifted bottles of their Brett Harvest and their Bourbon Barrel-Aged Belgian. Oh Omaha. We thoroughly enjoyed you, your beers, your town, your vibes. We can't wait to return! We enjoyed some chill Friday morning vibes at Epic Brewing's Denver taproom. A great group of yogis followed by fresh Epic brews...and lots of local connections as new to town yogis and young professionals bonded for the first time over yoga, beer, and much more! Our beer share brought Farnam House from Omaha to Epic, who sent us off with some Imperial Stout & Imperial IPA for our friends at Santa Fe Brewing Company. We can't wait to visit you again, Denver. Your beer is delicious, your community is welcoming, your scenery is amazing. Keep uniting by yoga and beer. On day 11, we vistited Kansas City and Crane Brewing. Great space, great vibes, and fantastic beer yogis AND beer! Such a fun group in this town- we had a birthday celebration, we got to meet an Instagram friend from our #beeryogi challenges last year, and we had a brewery cat join us for practice. You delivered, KC, we're not going to forget this stop! Our beer share brought some Perennial Artisan Ales to our new friends at Crane, who shared some of their gose & IPA for us to carry on to Farnam House Brewing Co in Omaha. We still wake up every day in amazement that this is our life right now. Cheers to all the beer yogis making this happen- this community is strongly connected, and you guys are all doing great things, everywhere you go. Stop #10 brought us to St. Louis, Missouri where we had the honor of collaborating on an event with Yoga Buzz at Perennial Artisan Ales. 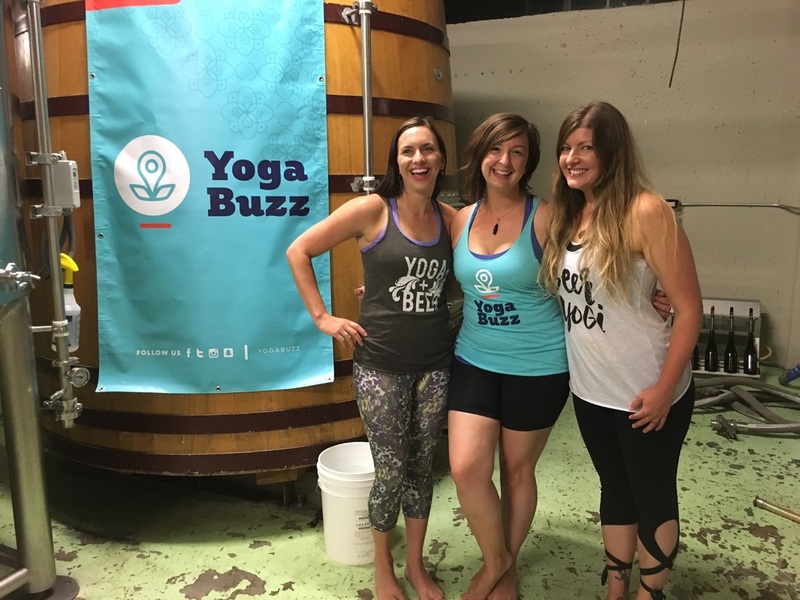 We love meeting other Beer Yogis who are passionate about the work we do and can fill our cup - and Elle, founder of Yoga Buzz is definitely a cup filler. She is passionate about making yoga accessible to every body and everybody and breaking down many of the barriers that tend to exist in the yoga community. Yoga Buzz is also a nonprofit, giving back to the St. Louis community through the money raised from Yoga Buzz events. We are truly honored to have been invited into this community. We had a taproom full of amazing Beer Yogis for our class, and Perennial treated us to a tour and tastings after class. We always love hearing about what makes a brewery unique and what gets them excited and fired up about the work they do. Our Beer Yogi Beer Share continued - we gifted Perennial with Gnight Rider from Against the Grain Brewery in Louisville and Perennial passed on their Foeder Saison and Suburban Beverage. Stop 8 in Nashville! 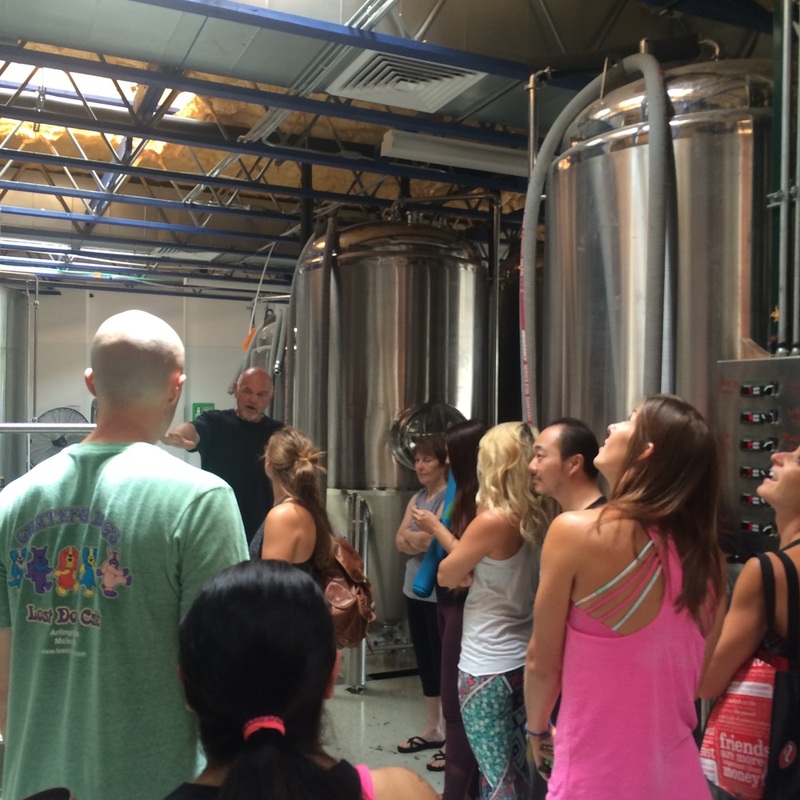 We hung out with the beer yogis at Tennessee Brew Works for a nice & hot midday flow in the brewery. The Tennessee Brew Works space was beautiful, and the brews were tasty. Our full house of beer yogis earned those delicious beers after a strong balancing flow in the active brewhouse- for a beer yogi, maybe the only thing as good as that post practice beer is a savasana to the sounds & smells of brewing beers! As much fun as it is to practice together, we also always enjoy catching up with you guys over beers- and hearing Maggie & Adam's story was extra fun: let's give some cheers to these newlyweds celebrating their marriage AND a birthday through yoga and beer with us. Our beer share sent some Tennessee Brew Works Southern Wit on to Against the Grain in Louisville, who shared their Gnight Ryder barrel aged Imperial Black Ale to carry on to Perennial Artisan Ales. So, until we meet again, Nashville- thank you for your spirit and strength in breath and community. 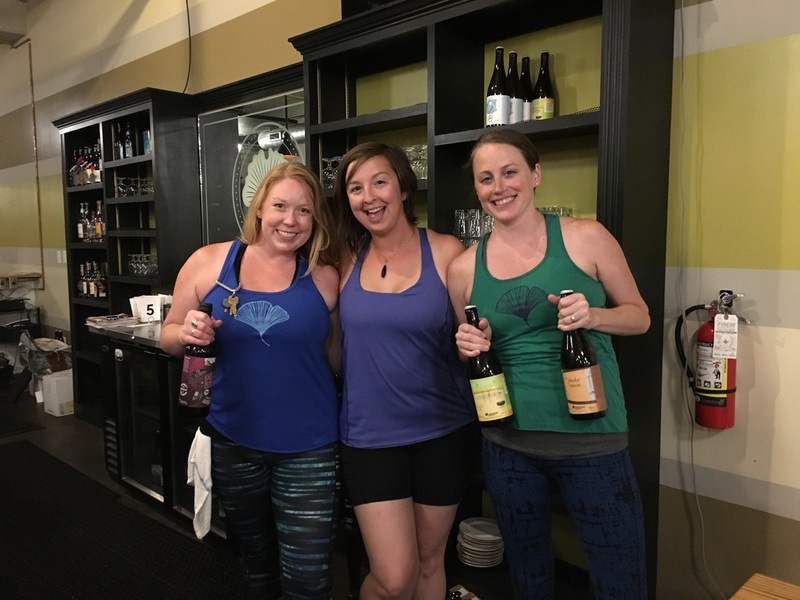 Thank you for your commitment to your practice- shout out to beer yogis Jamie and Jill, who traveled all the way from Cleveland to practice with us in Nashville!- and thank you Tennessee Brew works for brewing some tasty, tasty brews. Charlotte treated us with another collaboration on the tour! 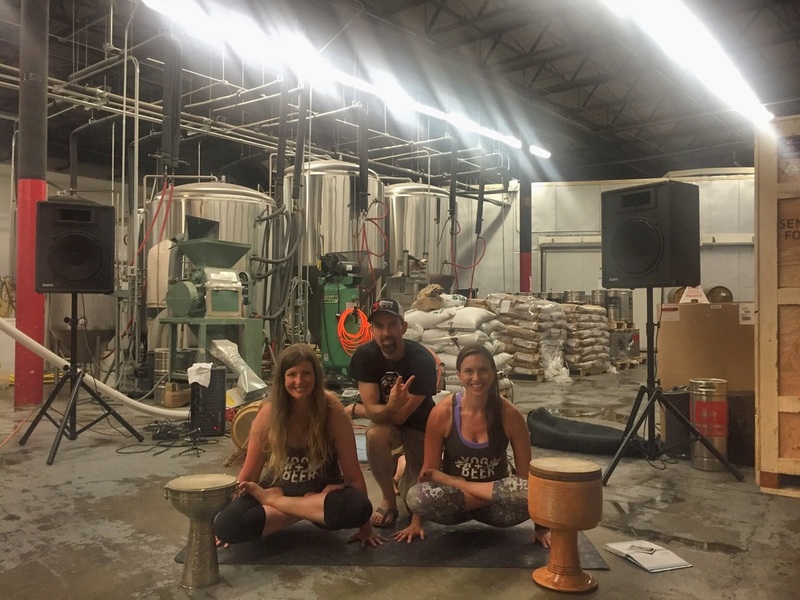 We joined NC Yoga Bar at Sycamore Brewing for a special Thursday night flow. The weather was a little iffy literally until the minutes before the event...and then the skies cleared, and the air cooled, and it was a perfect outdoor treat for everyone in attendance! 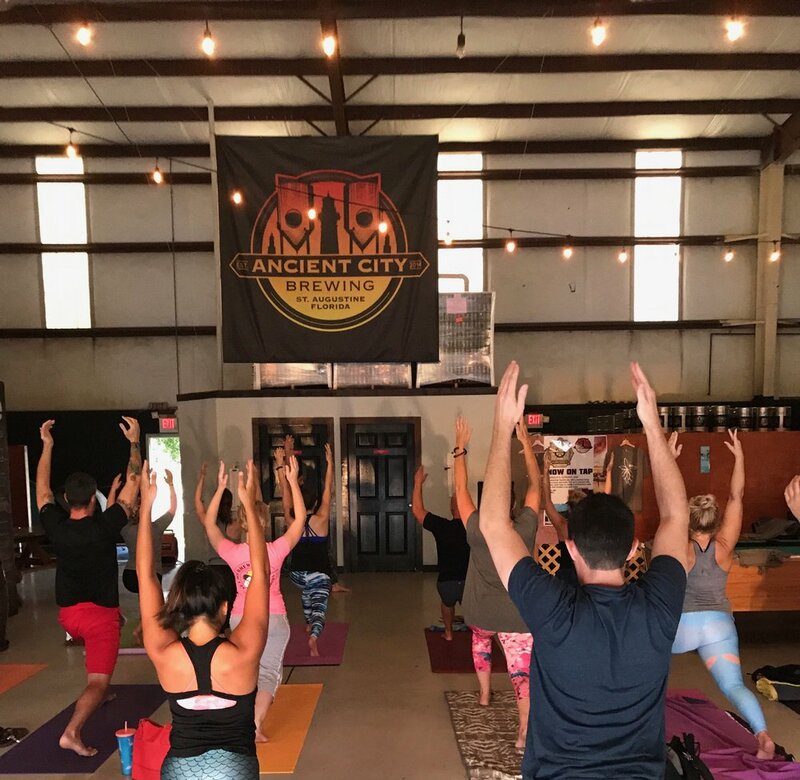 Our local contact, Lindsay from NC Yoga Bar, was great in helping to coordinate this event- Charlotte, you are lucky to have her, and make sure to check out her regularly scheduled events at Sycamore and locations across the city! Our beer yogi beer share brought some 3 Stars Brewing barrel aged Illuminati saison to the guys at Sycamore, who shared some of their raspberry stout, Berry the Hatchet. Our 6th event brought us to the nation's capital, where we collaborated with Brad from Druminyasa at 3 Stars Brewing. 3 Stars hosted us in their brewery, with the aromas of a day of brewing lingering. A beer yogi's favorite aromatherapy. 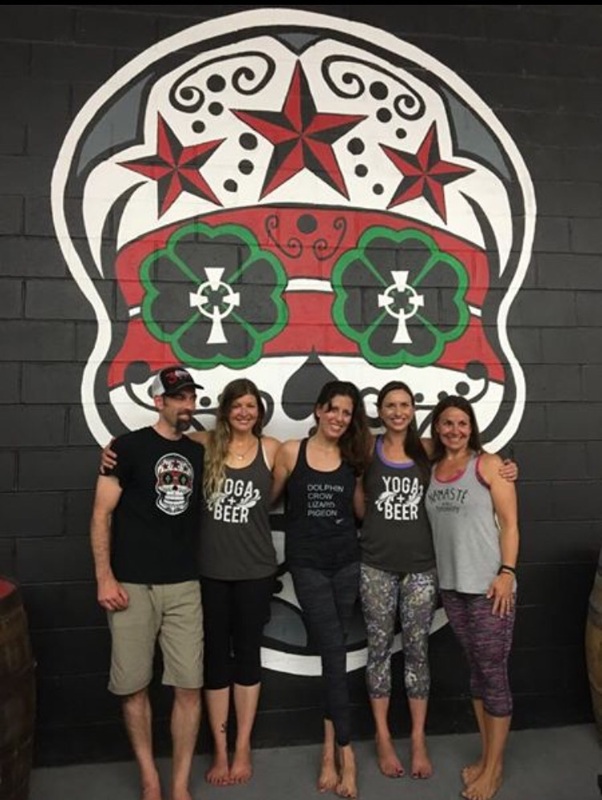 We were joined by a wonderful community of Beer Yogis from the DC-area, including yoga & beer teachers Erin Sonn and Beth Wolfe. Brad treated us all to live drumming during class. It's always a treat to work with musicians who understand yoga and can enhance practice through the weaving together of asana, breath, and music. Brad is extremely talented. Wish we could bring him with us for the rest of our tour! After class, we gathered in 3 Stars' tasting room for a pint and a chance to chat and connect. We love the energy of a tasting room full of Beer Yogis. Our Beer Yogi Beer Share continued. We delivered Framboisie from Brooklyn Brewing to 3 Stars Brewing, who passed on their Illuminati #3 to Sycamore Brewing. After class, Brad showed us the DC sites. What a beautiful city, full of beautiful people. Thank you for your hospitality. We wrapped up our long weekend in the city with a spirited Tuesday evening practice at Brooklyn Brewery. 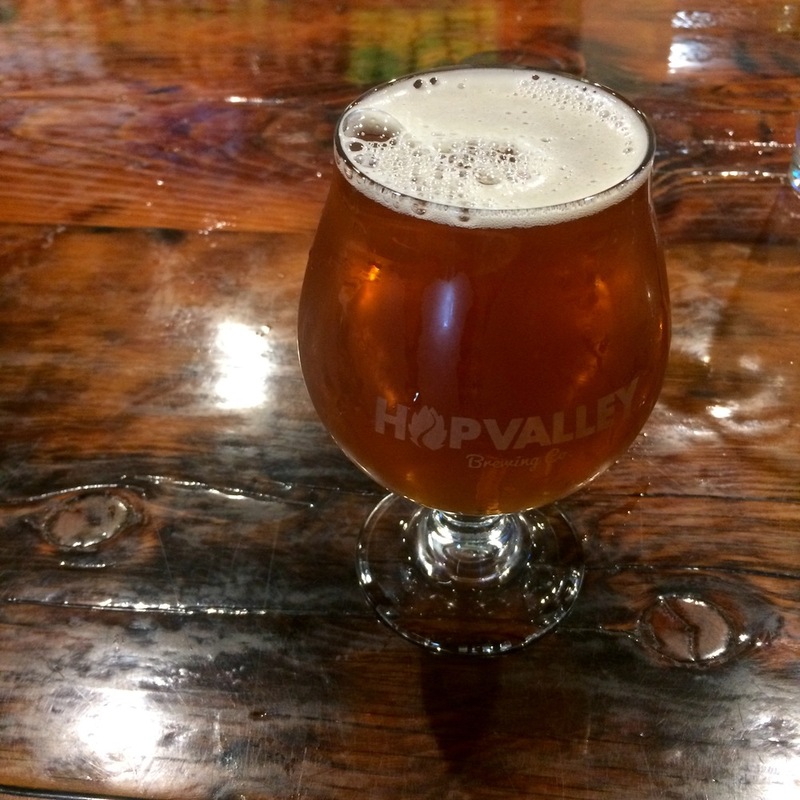 We flowed with our breath, we found our balance, and we found stillness on the brewery floor. Brooklyn's taps were flowing with fresh brews, a welcome sight for a crowd of thirsty beer yogis. Our beer share delivered LIC Beer Project to Brooklyn, Brooklyn shared some of their Framboisie for 3 Stars Brewing in DC. We always enjoy connecting in the city, and we will carry these vibes & memories on- thanks, Brooklyn beer yogis. Class #4 brought us back to one of the first breweries we ever taught at together and one of our favorite yoga & beer spaces - LIC Beer Project! Daniel and Kristen and their team are amazing people and we already are looking forward to returning to LIC in the future! For those who know ... this is the spot, if you're in Long Island City. Our class took place in LIC's tasting room. We were joined by 20 local yogis, one of which was celebrating her birthday and invited her friends to celebrate with her by sharing practice and a pint. Best birthday celebration ever, in our opinion! LIC has a pretty epic mural in their tasting room which makes for a great studio back drop. 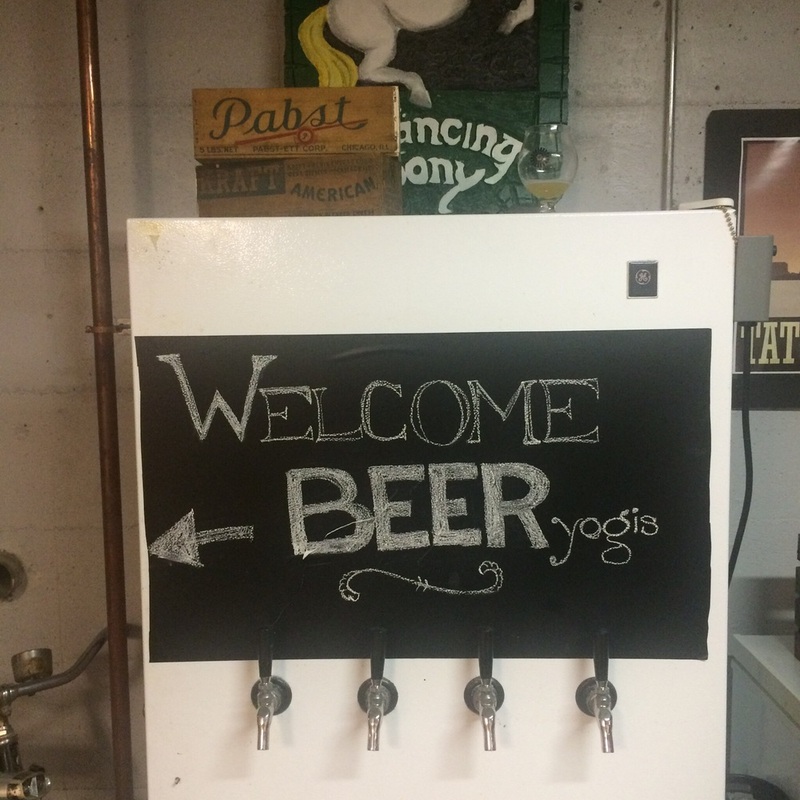 Our Beer yogi Beer Share continued on! We delivered a growler of Wallace Tavern Scotch Ale from Market Garden Brewery to LIC Beer Project ... who passed on their Higher Burning IPA for Brooklyn Brewery, to be delivered on Tuesday night! Cheers, LIC Yogis! Can't wait to return for another class in the future. You all created simply the best Sunday morning yoga & beer vibes. We visited Balance & Brews' hometown of Cleveland last night for a big Friday night Beer Yogi tour kickoff party with Market Garden Brewery. The brand new production brewery space was still raw, unfinished space surrounding a beautiful functioning brewery operation- the important part! We filled every available space with mat and yogi. 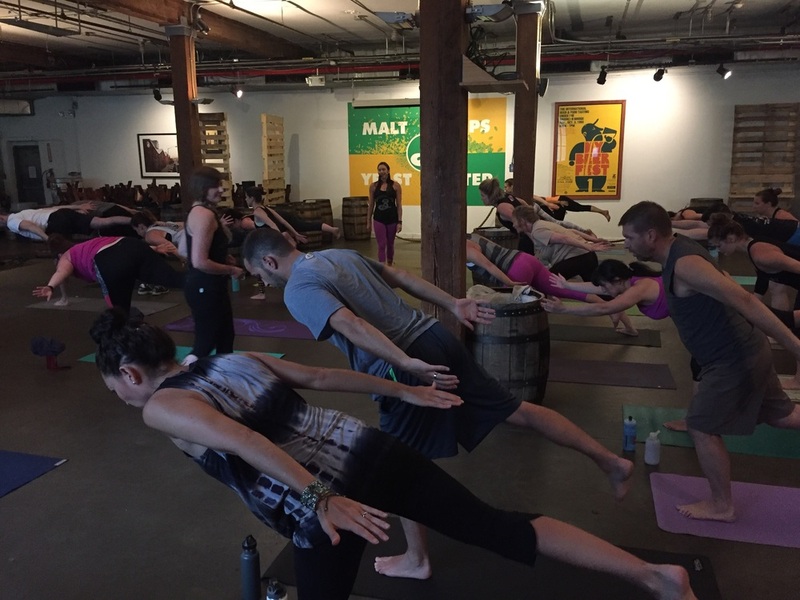 We opened our hearts and connected to beer yogis everywhere. We dedicated the focus of our balancing sequence to extending our baseball team's winning streak...and while we flowed, they won that 19 inning game. Our beer share for Cleveland included Whango from Atwater Brewery for our pals at Market Garden, who sent us off with their Wallace Tavern Scotch Ale to share with LIC Beer Project. Melissa got to spend one last evening with her hometown beer yogis before heading back out for the month, inviting Mikki to unite with the proud community Cleveland has built. Mikki got a little education in Cleveland culture, and was of course charmed by the leg lamp. Thank you to Market Garden for sharing your space with us, allowing us to literally be a part of what you're building. Thank you to the local beer yogis, in Cleveland and beyond. Day two in Detroit-- our first sold out event! We filled this lovely space at Atwater Brewery, with the brewery beyond the wall behind us, and the tasting room off to our left, where curious onlookers could peek to be inspired by our movement, and we could peek right back and wonder what beers they were drinking. 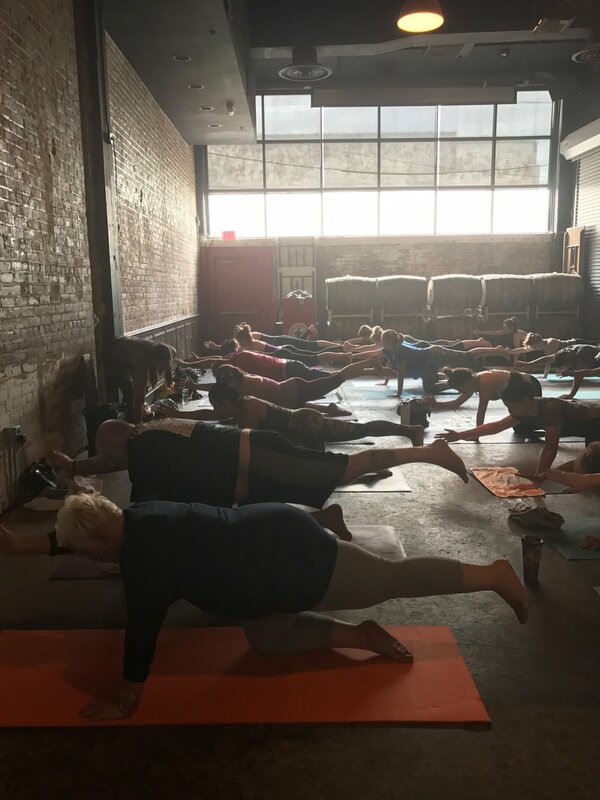 The Detroit crowd was strong, full of regularly practicing yogis who also regularly drink Atwater beer, and it was easy to sense their presence and connection through the strong yogic breath they created in this space. For Beer Yogi Beer Share, Atwater gratefully accepted their Golden Strong Ale from Kindred Artisan Ales, and graciously passed their Whango, a mango wheat ale, for us to take to Market Garden Brewery in Cleveland.